For entrepreneurs using social media for customer engagement, a response strategy map is a system of responses drawn up collectively by the entire organisation for implementation during engagement with their target audience on social media. Broadly speaking, a response strategy focuses on the responses to any comments made by the public. It is an action map created so that everyone in the taskforce knows what to do, how to respond, who to activate during a crisis, and how to close the loop to manage the online conversation. It can be used for managing public relations and should be refined after every major media crisis. Every company will have its individual response to input from users in the social media space. The template provided in this chapter can only serve as a guideline for your corporate response strategy. Positive comments may be few and far in between. People are more inclined to give negative feedback than positive ones, especially in a highly competitive country like Singapore. However, positive comments do come from authentic fans, but when it happens, it is a pity most brands do not know how to magnify the effect to the fullest. Positive comments are usually overlooked, especially when they are just regular compliments. The comments to note are usually the referrals, good testimonials, and success stories. Whenever such positive comments appear, share them on different platforms. If you have positive comments originating from your Facebook page, share them on Twitter or your blog. If you can trace the fan’s Twitter account, do not forget to mention him in the conversation. If you are sharing on your blog, you can acknowledge the fan with a hyperlink back to his profile or simply do a screen capture. If there is a compliment for one of your staff’s service, share it on LinkedIn and encourage the staff to get connected with the fan. A good recommendation on LinkedIn may eventually happen because of the connection. The entire company can be more motivated when staff reads about positive comments for different departments. So share them on your company newsletter. Compile the number of positive comments and their categories into your social media KPI. Your management will appreciate the numbers at the end of the year to justify the ROI on social media. If an existing fan refers someone new to the company, follow-up quickly through your normal sales channel and reward the referrer through your own customer incentive or reward system. If comments are rather neutral, verify if the comments came from your fan. If the commenter is not a fan, encourage him to bring the discussion further and eventually encourage him to become a fan. In reality, everyone who is new to your company or brand and posts on your platform is a potential prospect. If you received something negative, always give priority to manage those that came from your fans. Negative feedback usually involves service quality, damaged product, customer service, delayed delivery, long unanswered phone calls to help desk, wrong billing, etc. Whatever the complaints may be, they usually involve at least one department. This is the reason why your page should have one representative from each department to look out for comments related to that department and relay those concerns swiftly. Close the loop as soon as possible by activating service recovery. It could be as basic as getting on the phone with the disgruntled fan who is a loyal customer. Or it could involve getting the after-sales department to send a replacement to the fan’s house. Whatever it takes to make a loyal fan happy, do it and show it. It will be the most rewarding social media publicity you can have for your brand. What happens if the comments came from someone who is not your fan? Verify the content of his complaint. If it is valid, resolve it quickly by clarifying and notifying the department or staff mentioned in the comments. Be humble and do all due diligence to check on the validity of the complaint. If the complaint is not valid and you suspect the person may be out to create fear and confusion, you can choose to ignore those comments. You can even delete them after all the internal investigation is done. Censoring certain negative comments can be a house rule on your platform. Do not engage in an open debate or discussion with anyone on your platform. Take it offline as much as possible. Remember that it is the end result you wish to show and not the process on how you arrive at the resolution. If you are using the response strategy map as a tool to handle a crisis, there are two things to remember. Social media will not help you much if you have not built any goodwill among your customers or the public. A response strategy map yields little results if you have suffered too much bad press or bad mouthing in the marketplace. The map is just a tool. It is not a magic wand for creating instant goodwill. Remember that any social media fire must be put out by social media water. A local company once held a dinner and dance with a specific theme. Their staff posted photographs of the event on Facebook which were seen as disparaging to a certain ethnic group. The photographs created an uproar on social media and it went viral and the local press picked up the story. The company’s PR issued a statement to state that it was done in pure fun. However, that made it even worse and it evolved into a full blown discussion in the local newspaper’s forum. Thus, if the crisis began from social media, use social media to engage and resolve it, not public relations. Negative comments are inevitable and are ever present on social media. The art of persuasion lies in using negative comments to explain your brand more intimately to the detractors. Whenever there are comments, there will be conversations. Always remember that what is worse than negative comments is no comments at all. Think of your relationship more than just responses. Draw up your own response strategy map (sample below) using your experience, internal standard operating procedure, and staff feedback. This may be a work-in-progress in the first year of embarking on a social media strategy. Comments are conversational contribution from your online community. It is the right of everyone to share their thoughts, both positive and negative ones. All comments should be followed up appropriately to help the brand stay engaged with their customers. 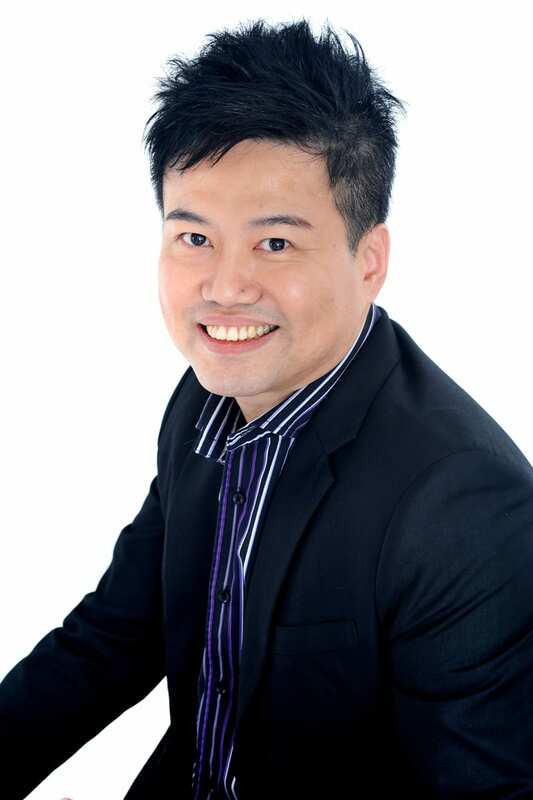 Author Bio: Andrew Chow is a Social Media & Public Relations Strategist, Certified Life Coach, Entrepreneur, Speaker and Author in Singapore. Andrew has spoken in many local and regional conferences on Social Media Strategy, Media Management and Personal Branding, and Enneagram Personality. His authentic presentation style made him a frequently sought-after keynote speaker. Graduated from Thames Valley University, Andrew is fondly called “ideasandrew” in all his social media connections. He has also founded several social networking portals with over 10,000 profiles. He is the author of “Romancing the Media for Business”, “Social Media 247” and co-author of “88 Essential Secret for Achieving Greater Success at Work”. Andrew will be speaking in the Industry Track at TBEX Asia on The Art of Crisis Management through PR and Social Media.